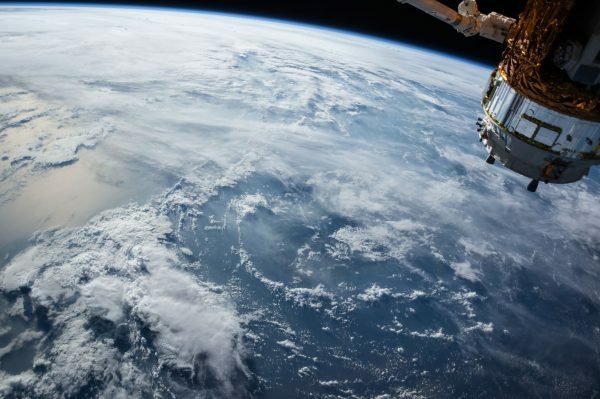 From Buffalo, New York's famous Blizzard of '77 to the polar vortex that recently swept over North America a few weeks ago, check out these 12 jaw-dropping images of a world frozen over. 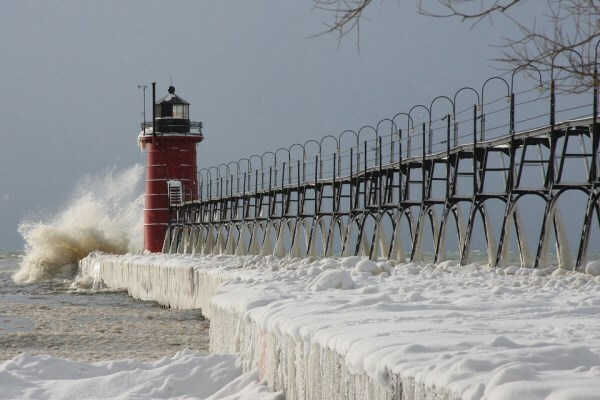 A lighthouse is encased in ice after a blizzard on Lake Michigan. 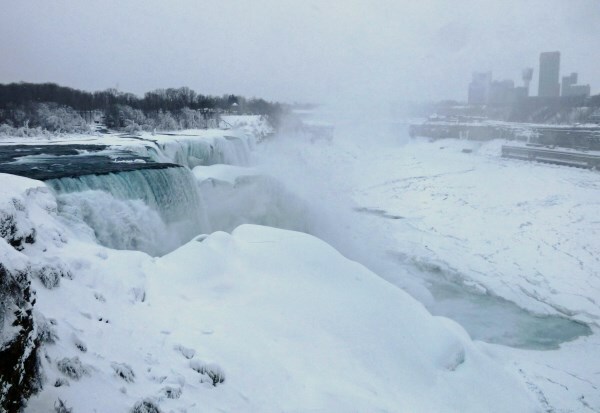 Water from Niagara Falls still flows during subzero temperatures, but ice floes and giant icicles form on the falls and in the Niagara River above and below the falls every year. 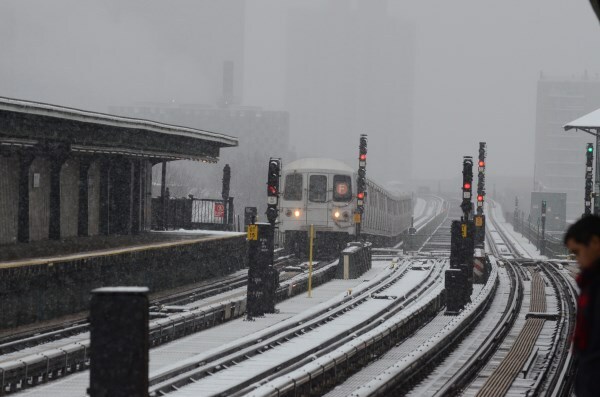 Some of New York City's subway stations filled with snow and ice during winter storm Hercules. During the Blizzard of 1977 in Buffalo, New York, snowdrifts were high enough to enable people to touch streetlights. The Blizzard of '77 is still considered the worst in the region's history, with 70 mile per hour winds and a wind chill of -60 degrees. 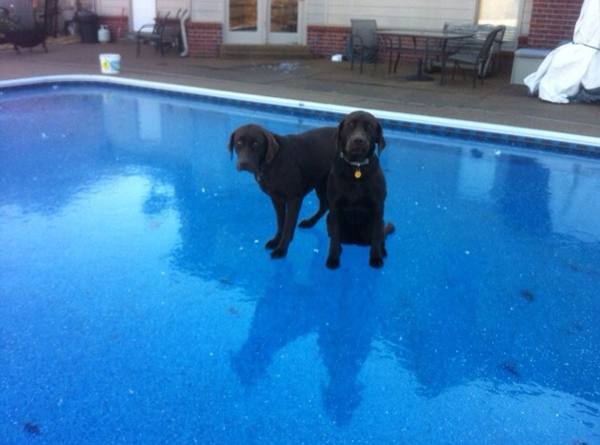 It's no miracle, just a solid block of ice for these dogs to walk on. 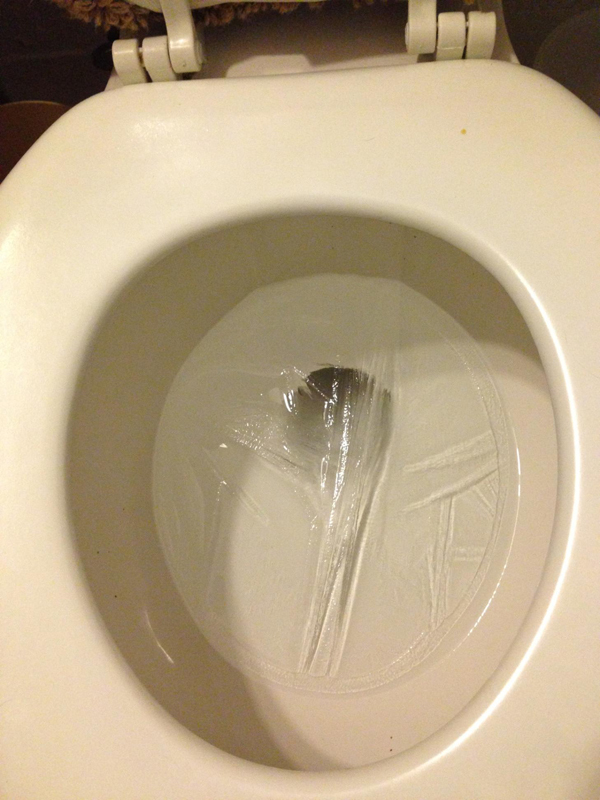 Frozen toilet water during the polar vortex. 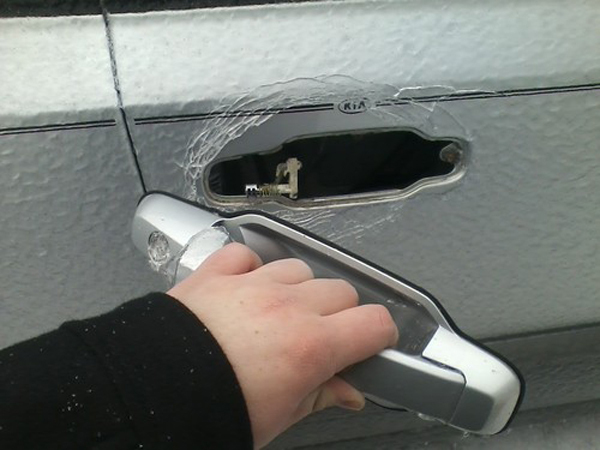 A car door handle snaps off during extreme freezing temperatures. 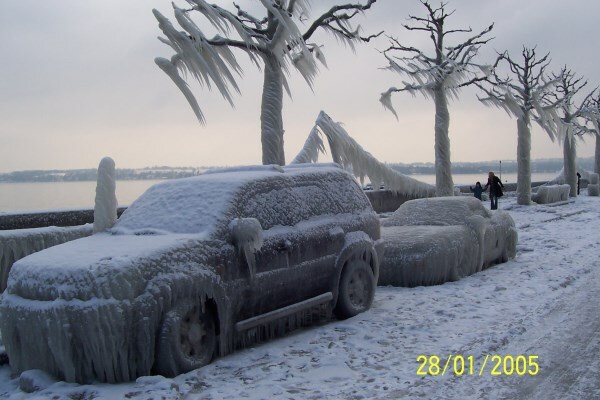 These are frozen trees and cars during an ice storm in Geneva, Switzerland. 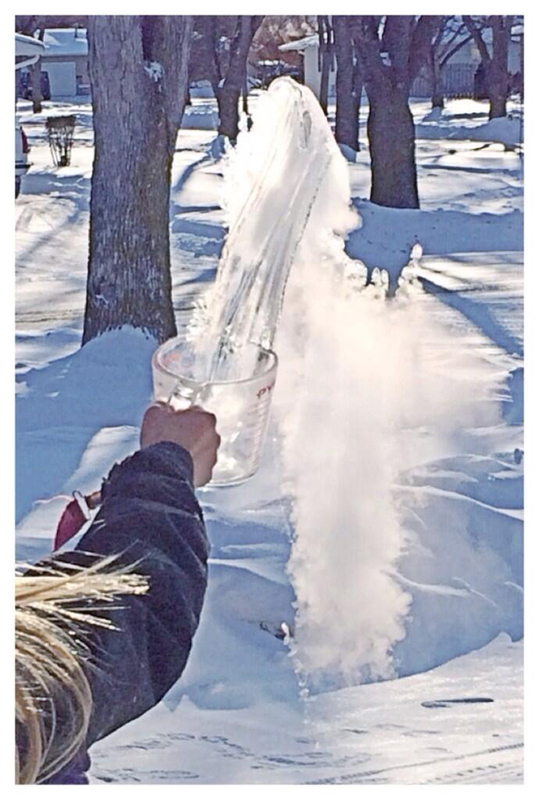 Sub-zero temperatures can turn boiling water into snow, though many who have tried this trick were still burned. 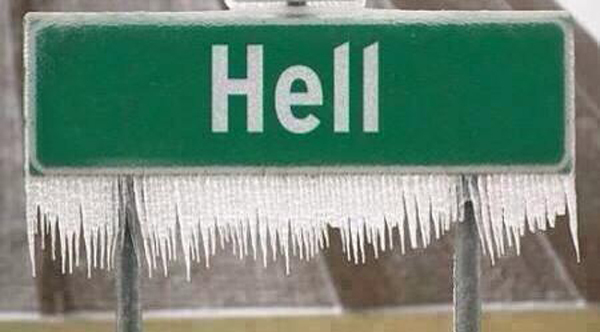 Hell, Michigan has indeed frozen over during winter storm Hercules, with wind chills of -37 degrees. 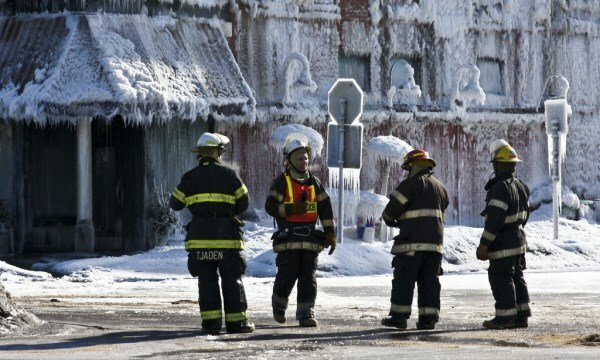 Firefighters fight a blaze in subzero temps during the polar vortex in Nebraska. 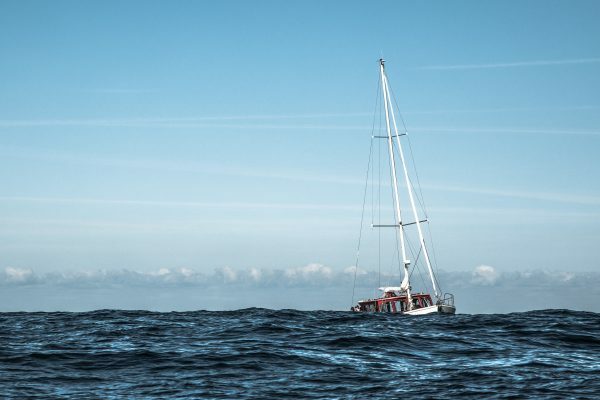 Fish froze in mid-swim in their shoal near Lovund, a small island just a few miles from the northern shores of the Norway mainland. 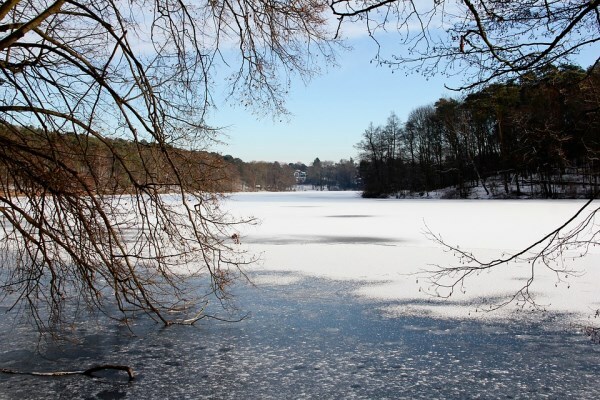 It was only -7 degrees, but the wind chill was cold enough to freeze a large amount of fish in place. 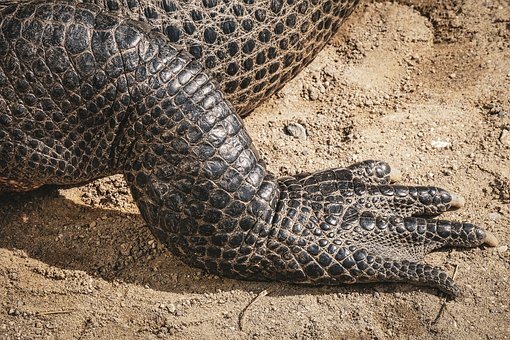 It is believed that the fish were being chased by a predator, which made them group in huge numbers.